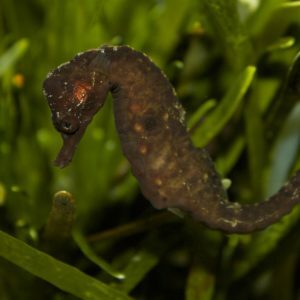 This is the smallest known seahorse and is endemic to South Africa. The female transfers her eggs into the male’s pouch during mating and here they are fertilised. The gestation period is 2 – 3 weeks after which time the male ejects his offspring. The young are then extremely vulnerable receiving no further parental care.